If you wish to reserve a lift-equipped bus through EastWestBus.com, please purchase your ticket at least 48 hours prior to your departure. If you do not provide 48-hour advance notice, the motorcoach company must make a reasonable effort to provide a lift-equipped coach if such an accommodation will not delay departure or the schedule on which you wish to travel. All motorcoach companies in the United States are required by law to provide accessible transportation to individuals with disabilities. This includes providing assistance to those with vision loss, hearing loss, walking difficulties, those who use a wheelchair, electric scooter, or other mobility aid, and passengers with service animals and breathing aids, among others. After October 29, 2012, large motorcoach operators must have a fleet that is 100% accessible and 48-hour advance notice will no longer be required. Search for and select the departure, destination, date, and time you prefer and proceed to the checkout. Below "Traveler Contact Information," check "Yes" next to "Need special assistance." The motorcoach company will contact you by phone or email to confirm your request and ask for additional information in order to better meet your specific needs. Search for and select the departure, destination, date and time you prefer and proceed to the checkout. This service request option is provided as a courtesy to our customers. Except for lift-equipped service, no advance notice is required to accommodate passengers with disabilities. This includes those traveling with oxygen or service animals. Whenever a bus makes an intermediate or rest stop, a passenger with a disability is permitted to leave and return to the bus in the same manner as any other passenger. 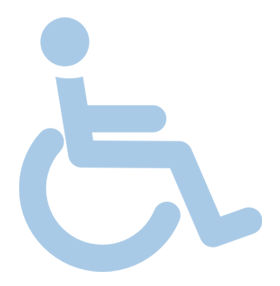 If you are a passenger with a disability traveling on a bus without an accessible restroom making an express run of three hours or more without a rest stop, and you are unable to use the inaccessible restroom, you may request an unscheduled rest stop. The weight/size limits for wheelchair lifts are 600 pounds (combined weight of passenger and mobility aid) and 30 inches by 48 inches. Passengers whose mobility aids exceed these limits may be denied boarding unless the device can be accommodated in the cargo bay. Because medical oxygen is a hazardous material, the limit per coach in cargo (defined as all cylinders not actually in use) is 99 pounds. In order to observe this limit, passengers traveling with oxygen cylinders may be accommodated on a first come, first served basis. Portable Oxygen Concentrators do not present a hazard but passengers using these devices may want to check whether the coach serving their schedule will have 110-volt outlets since this will affect the number of backup batteries needed. Disclaimer: EastWestBus.com is an independent ticketing contractor with various bus operators. EastWestBus is neither a bus operator nor a bus broker. However, EastWestBus.com would like to provide information to those customers in need of special assistance.